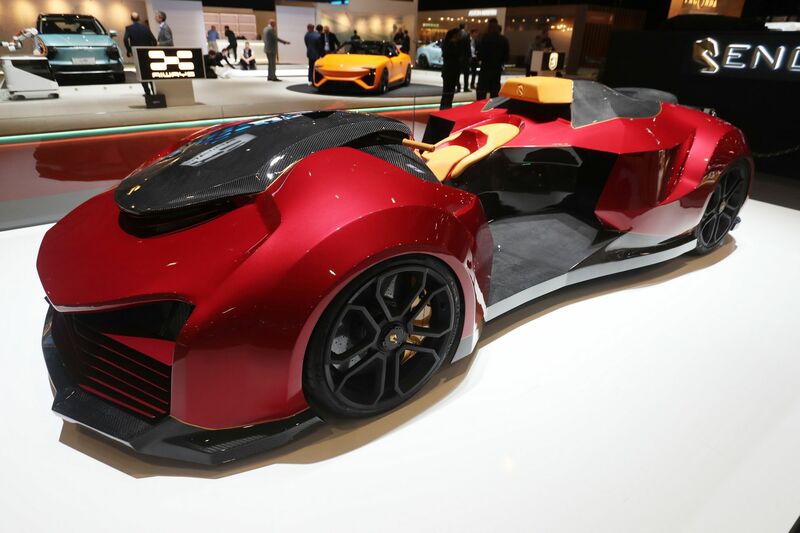 Engler Automotive, a budding vehicle manufacturer based in Slovakia, has come to the 2019 Geneva Motor Show with what it proudly claims is a “hypercar killer”. The vehicle weighs 800 kilograms (1,760 lb.) and looks more or less like a normal car, but is essentially a quad bike based on a supercar chassis. The Engler F.F Superquad features a wheelbase that spans 2,650 mm (8.7 ft.), an AWD, a seven-speed DCT, and a 5.2-liter V10 engine. As you may have guessed by now, it borrows these from an Audi R8. Custom twin turbochargers enable it to exert up to 800 hp (596 kW). Aside from that, the bike sports a lightweight titanium exhaust system, a steering column designed from scratch, and powerful carbon-ceramic brakes. The cabin of the Engler F.F Superquad is 4,670 mm (15.3 ft.) long, but only 950 mm (3.1 ft.) tall, is made of composites and houses a single seat. The super quad bike can sprint 0-100 km/h (0-62 mph) in 2.5 seconds. The company emphasizes that its top going speed amounts to a formidable 350 km/h (217 mph), but, frankly, we can’t imagine it going that fast without any kind of wind protection. Engler Automotive says it wants to produce a small batch of the F.F Superquad, but refuses to reveal either the launch date or the pricing.